I’ve often said that I became a teacher because I hated school. Although its learning environment is now very different … see here … by and large I enjoyed my time in Charlton Manor Primary (elementary) school; I had few resentments, one of which was that I couldn’t join the art class because the enrolment was full. 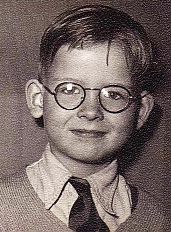 I also learned to ignore the taunts of “four eyes” because I wore glasses. I breezed through it, and that made me eligible to sit another test for entry into a local grammar school*. The one my father chose was the boys only Colfe’s Grammar School because the Deputy Headmaster, Trevor Davies, had taught my father geography at his secondary school. (Coincidentally, Mrs. Davies had been my first teacher at Charlton Manor.) And Colfe’s accepted me. Colfe’s is an independent school which can trace its history back to 1494. In my time it was housed in prefabricated classrooms as the school built in 1890 had been destroyed by a WWII flying bomb. All the teachers had been through that war or postwar national service in the army, navy or air force. So there was a militaristic discipline they imposed, was familiar to them, but not myopic me. I still have a scar to prove that I failed to do a forward roll or climb a rope at the behest of the gruff ex-sergeant major of a sports teacher. 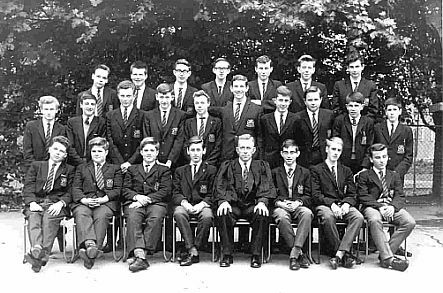 I was the only pupil from Charlton Manor to go to Colfe’s that year. My choice would have been Shooter’s Hill Grammar; we lived in Shooters Hill Road, and at least one friend, Martin Fisher, went there. As it was, I was like a fish out of water in Colfe’s, and there was no escaping the suffocating regime headed by Maj.(ret). Herbert Beardwood MSc. Infringements meant writing out 500 lines, or chapters of the Bible, and/or detention (being kept behind after school), and my end-of-term reports invariably suggested that I had ability, but should “try harder”. And forever embedded in my mind’s dusty attic is the old school song Carmen Colfanum which starts “Come one, come all ...”, another excuse to be rebellious of an independent frame of mind. Yes, the emotional scars left by my grammar school ‘education’ are very much the foundation of the who and what I am today. Colfes received an Educational Quality inspection in November 2016 and according to the report (pdf) there are very few dissatisfied students, most praising the empathy shown by the teaching staff and senior years. Apart from Shooters Hill, there were other grammar schools within the catchment area of my childhood home. In Greenwich, there was Roan Grammar School for Boys founded in 1677. In 1983, it became a comprehensive school (i.e. not “academically selective”), when it merged with Roan School for Girls and Charlton Boys School, coincidentally my father’s secondary school. Then there was St. Olave’s School. Founded in 1559, in my time it was based in Southwark, within easy reach. It has since relocated to leafy Orpington in Kent, on London’s south-eastern boundary. In terms of its educational philosophy, St. Olave’s does not appear to have changed much over the years. This past week it has featured on the front page of national media for prioritising exam results above the needs of its students in order to be near or at the top of government league tables. As at Colfe’s, its students are selected at age 11 because they are considered to be academically bright. The expectation of St.Olave’s is that by the time they are 18 years old and graduate from the ‘sixth form’, they will have got consistent B (or better) grades in a slew of exams, both internal and external, in order to be accepted into the country’s A-list universities, e.g. Oxford and Cambridge. A former student Jack Cornish says: “The school clearly has never been very good at gauging happiness and welfare, or at least it has never been good at caring about it. It was always made clear to us that the focus was on the school’s performance, to the neglect of individuals’ welfare. Such has been the outrage and uproar of condemnation, that the school has now agreed to take the sixteen back. However, some may prefer to sit their exams in a more welcoming environment where they would not be treated as ‘collateral damage‘. Testimony from parents and students suggests St Olave’s Grammar School is just one of many institutions ‘weeding out’ students who ‘under-achieve’ in their latter school years. One may be pleased that a painful boil has now been lanced.